Tabletop Book Design. 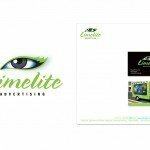 Encompassing Book Cover Design, Page Layout, Production and Publishing. This is one of the most comprehensive books ever written on African weapons. 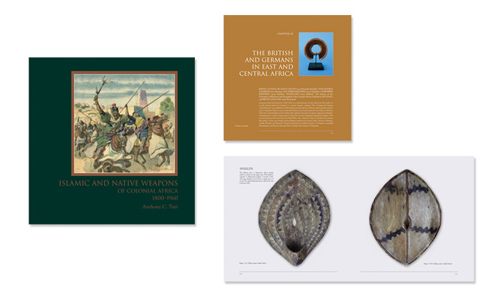 It contains over 918 color photos & maps illustrating over 1,100 specific African weapons. It is intended to document the wide variety & the history of African weapons. Both the novice & the most sophisticated collectors will benefit from its contents. ISLAMIC AND NATIVE WEAPONS OF COLONIAL AFRICA: 1800-1960 is a comprehensive presentation of African weapons from the period of 1800 to 1960. African weapons have been presented country by country in a clockwise manner starting with Sudan. All efforts have been made to place accuracy foremost. This publication is a sister book to Islamic Weapons – Maghrib to Mogul which presents Islamic Weapons from Morocco to Indonesia. 918+ color photos & maps, 682 pages.